Pedro's House is your home away from home. 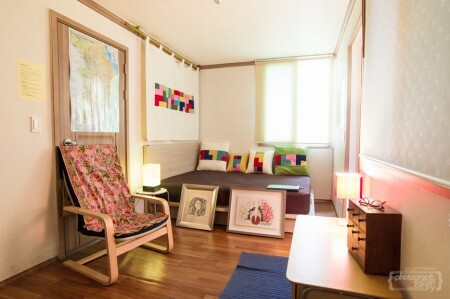 The peaceful atmosphere soothes your spirit as you experience the side of Korea few tourists see. 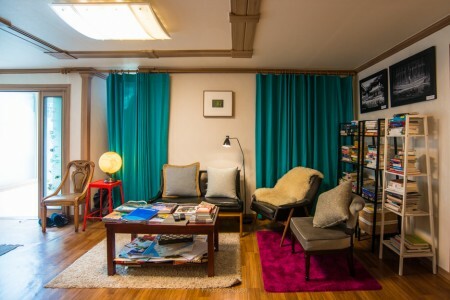 Read our books, cook in our kitchen, kick up your feet on the outdoor terrace, or meditate on our roof; the most important thing is to make yourself comfortable. Our brand new private room with double sized, western bed with a bamboo mattress is the perfect place to rest your weary traveler’s head. Guest can relax surrounded by modern furniture with a vintage feeling as well. 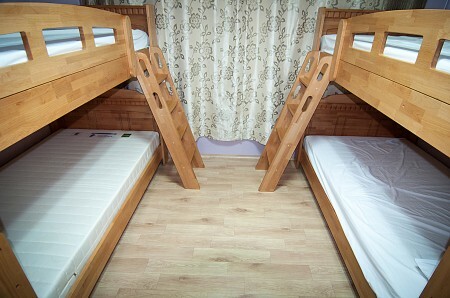 The female dorm has four elegant wooden bunks and four secure lockers with individualized keys. 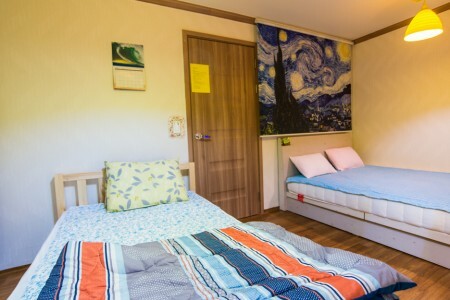 It also is independently air conditioned and has Korean outlets for recharging devices. A thick curtain keeps the morning sun away from late risers. The male dorm sleeps two in the bunks and one on the floor. 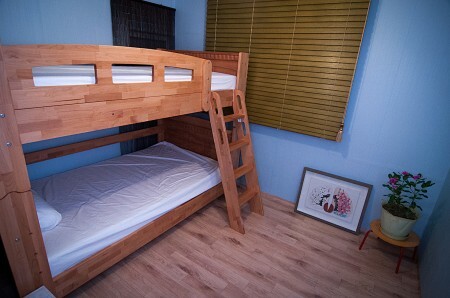 It is an independently air conditioned room with sturdy wooden furniture and reading lamps. Guests may charge their devices at the Korean outlet. The private room has been outfitted with a luxurious American queen-sized bed and romantic bedside lighting. Guests may adjust the independent air conditioning unit to their optimal sleeping conditions. 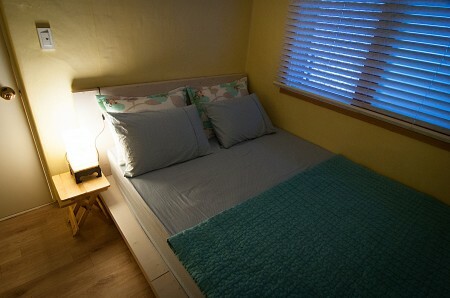 The wooden shutter will keep the room suitably dark past dawn. The room itself can be locked up to deter unwanted traffic.